As you can see, if no existing tag comes up, there is no option to add it. 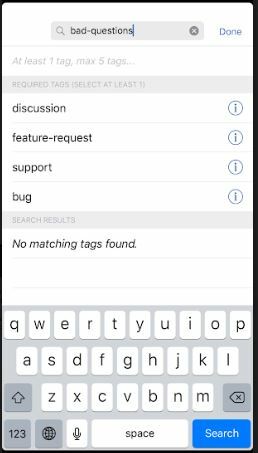 There is already a largely ignored feature-request asking for the ability to create tags via the app. But why are there no tag synonyms in the app? 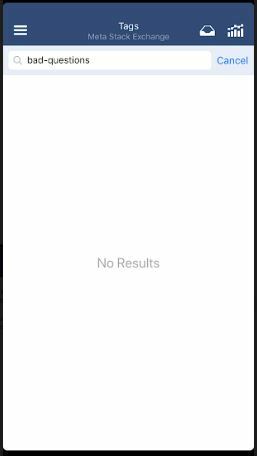 Is this a bug that can be fixed (with the obvious caveat that the app is not currently being worked on), or is this status-bydesign? 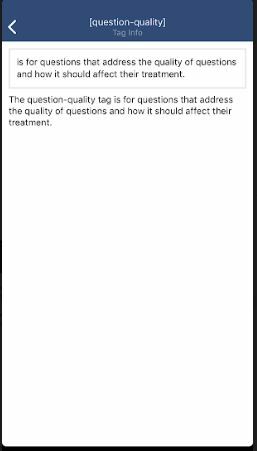 Browse other questions tagged bug tags ios-app tag-synonyms .